How to Make a Messy Bun was inspired by Hot Buns. All opinions and experiences are my own. Having long hair has it’s benefits and it’s pitfalls. One of the benefits is that there’s so many ways to style it. One of the pitfalls is that it’s long, and hot, and heavy. Did I mention it gets hot and heavy? When I have my hair long, one of the ways I like to wear it is up in a bun. However, that can get hot, too, with all the hair piled on top of your head. There’s an easier way to do it, that lets in some air at the same time. Hot Buns! It’s quick, easy, and you get a perfect ballerina bun every time. Put your hair in a ponytail. Do this wherever you want your bun to sit at. If you want a low bun, do this at the back of your head. If you want a high bun or a top knot, place your ponytail there. 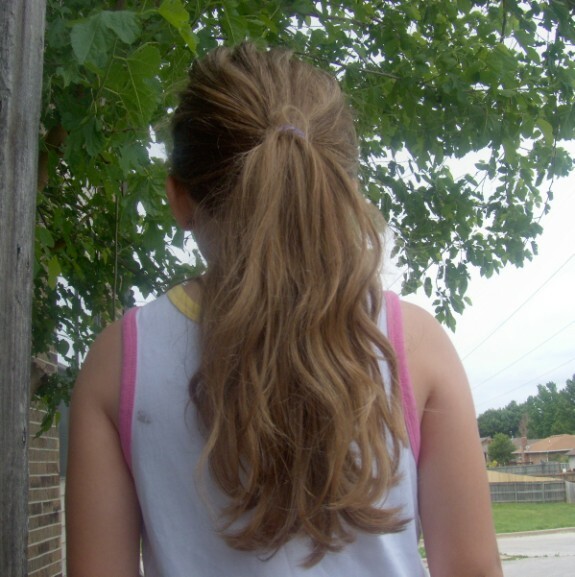 Take the Hot Buns tool, and place it at the end of your ponytail. This is not the end with the holder, but the free end. Roll your hair up around the tool, all the way to the ponytail base. Connect the two ends of the tool. There is a snap that you should be able to fasten. Arrange the hair around the Hot Buns tool, if needed. You may also need a couple bobby pins or another hair elastic to secure the hair. Voila! 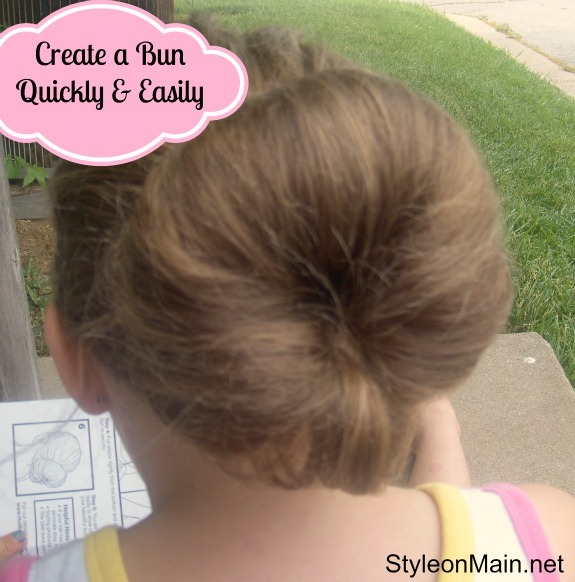 A gorgeous, uniform bun, quickly and easily. Make it perfect like a Ballerina bun or make it messy and casual. Hot Buns come in a two pack, one small and one large. They’re also available in two colors: light and dark, and are around $10 for the set of two, and can be found at mass retailers all over. Connect with Hot Buns on Facebook, too. Wow that is a cool tool! If I had long hair I would totally use it too! That’s super cute and looks easy enough that I could probably even do it! I am so guilty of using the same old hair clip to keep my hair up and need to seriously update my look…never knew there were tricks and tools like this to making an easy bun! But where do you buy them? I like how to make a messy bun! I too can not stand to have my hair on my neck when it is so hot. I will have to make me a messy bun because I think they are cute! Thanks for the great instructions. Where do you buy the Hot Buns tool? I have never heard of this before but would love to buy it so I can make a cute bun like the one in the photo. This seems super easy and very cute. You can get it just about anywhere. 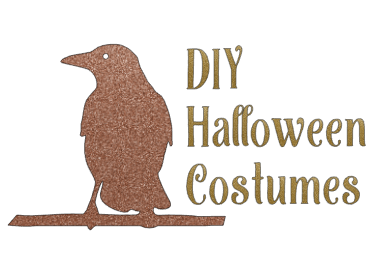 I’ve seen it at Walgreens, JoAnn Fabrics, and online. I tried the Sarah Potempa Half Up one that I got from birchbox and it did t work that well on me, I have too fine hair, it looked ridiculous actually, and on my 8 yr old it still didn’t look that great, maybe this one works better bc it sure looks better than ours came out! That is great! !I haven’t heard of these before!